Boston police officers on patrol in the North End. The Salvadoran teenager had the numbers “503” — the international telephone code of El Salvador — tattooed on his body and wore a blue and white bandana. They were two surefire signs he was a member of the deadly transnational gang known as MS-13, according to information collected by the Boston Police Department’s intelligence center and shared with the US Department of Homeland Security. Investigators had “determined [him] to be a risk to public safety as a verified and active member of the MS-13 gang in the Boston metro area,” Homeland Security Investigations Special Agent Sean Connolly wrote in a December 2017 report, which was used last summer in the teenager’s deportation proceedings. Mayor Martin J. Walsh has touted Boston as a sanctuary city for unauthorized immigrants. But a lawsuit filed Thursday accuses Boston police of labeling Central American teenagers and young men as gang members or gang associates, often with little cause, and entering that information into a database that can be accessed by federal immigration authorities. The lawsuit, filed in Suffolk Superior Court by the American Civil Liberties Union of Massachusetts and several other immigrant advocacy groups, calls on the Boston Police Department to release details about how its intelligence-gathering unit, the Boston Regional Intelligence Center, collects and disseminates information about so-called gang members and gang activity. 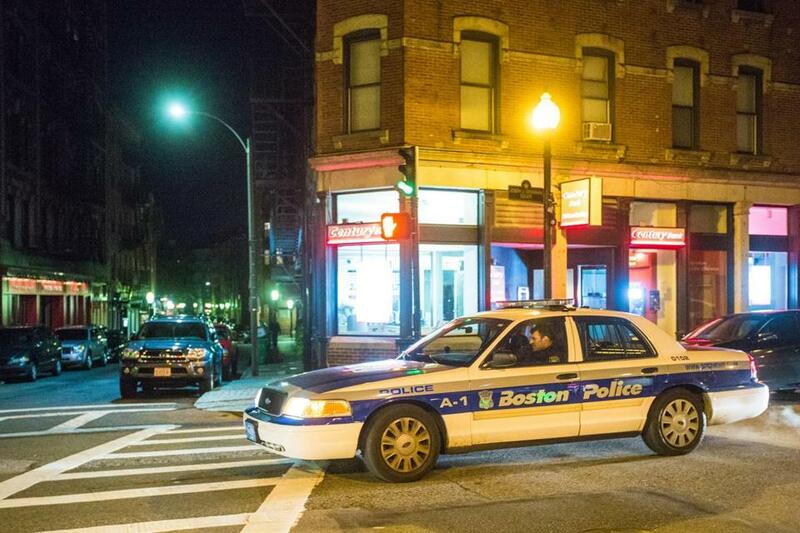 Boston police declined to comment, citing a policy of not discussing active litigation. The groups said they filed the complaint because Boston police failed to fulfill a public records request they made in May. The groups are seeking a broad swath of information about how the “gang database” operates, including the number of people labeled gang members or associates and copies of agreements with other law enforcement agencies with access to the regional intelligence center. The request also sought documents related to the monitoring of area students for gang affiliation, specifically those associated with Central American countries like Guatemala, Honduras, and El Salvador. The lawsuit states that police officials have provided incomplete information or argued that they are exempt from releasing the data. The regional intelligence center has been described as an invaluable mechanism for local, state, and federal law enforcement agencies to share information about terrorist threats. A former high-ranking police official said the database is monitored to ensure it complies with federal regulations on intelligence gathering. The database includes street-level information, such as criminal activity and police observations of people associating with known gang members. That information helps officers know what is happening on the streets and who might be a threat to public safety, said the official, who requested anonymity because of the ongoing litigation. “It does save lives at the end of the day,” the official said. The official acknowledged it is possible someone could be misidentified as a gang member. “Nothing is 100 percent perfect,” the official said. A person is entered into the database as a gang member or gang associate based on a point system; someone who has collected 10 points is entered in as a verified gang member, according to the lawsuit. A person bearing a tattoo associated with a gang will be given eight points, while someone seen with a known gang member receives two points for each interaction. In the case of the young man from El Salvador, federal officials said he was classified as a gang member because of his tattoo, the blue and white of his bandana — colors associated with MS-13 — and the fact he was with MS-13 members when he was arrested in Chelsea for carrying a knife. The gang affiliation led a judge to order him held without bond. The Globe is withholding his name at his lawyer’s request because the man has received threats from a rival gang of MS-13. Thomas Nolan, a retired Boston police lieutenant who has studied intelligence centers like Boston’s, testified as an expert in the teenager’s case and said police failed to show he had committed crimes in connection with the gang, one of the requirements outlined in the federal guidelines for intelligence-gathering units. The man, who was severely abused as a child and had cognitive disabilities, testified in court that he had left El Salvador because gangs there had threatened to kill him if he didn’t join. He carried the knife for protection, he said, and wore the bandana because it had the colors of his favorite soccer team. The Boston immigration court judge believed him. “The fact that the gang database packet consists of conclusory statements that baseball hats, bandanas and a “503” tattoo are indicia of gang violence, without more, does not necessarily convince the court that the respondent is a verified and active gang member,” Judge Mario J. Sturla wrote in a June 2018 decision. Sturla approved the man’s application for permanent residency and ordered his release. By that point he had been held for seven months, said Ragini N. Shah, his lawyer. He has since been reunited with his infant son and is trying to finish high school, she said. Globe correspondent Katie Camero contributed to this report. Maria Cramer can be reached at mcramer@globe.com. Follow her on Twitter @globemcramer.